Whatsapp is one of the best messenger android used now a days. 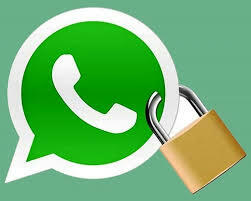 Many times, this question has been asked that how to secure Whatsapp with password? 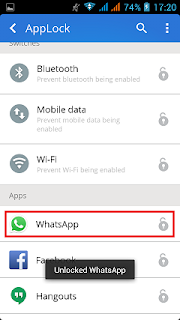 Though Whatsapp does not provide any build not feature to lock it using a password. Becuase of which every body can access your chat coversation. In this article, we will be discussing the alternate method by which you will be able to lock your whatsapp account with a password. Follow all the steps given below. 1) First download & install CM Security app either from Play store or from our blog. 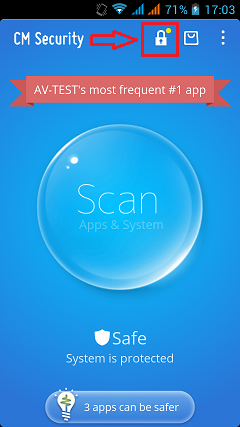 2) After installation, open this app. It will be open within few seconds. 3) You will see the home screen of Cm security app. Click on Lock icon at the top of the app. 4) After clicking there, you will see a new window. Here all the applications of your Android phone will be present. 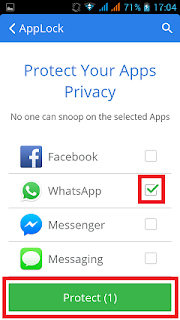 You can lock all of them but specfically we will be locking Whatsapp in this article. You can apply this method for every app. 5) It will ask you to set the password pattern as shown below. Set password pattern which no body could make a guess. Again, it willa ask you to enter that specific pattern for confirmation. 6) Now click on Done button. Your Whatsapp messenger has now been locked under a pattern password which you have set. Every time, for accessing your Whatsapp account, you will have to apply the correct password pattern. 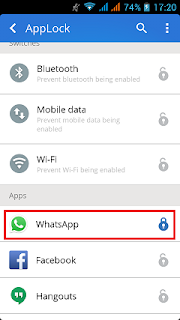 If you want to remove Whatsapp password, then follow the steps given below. 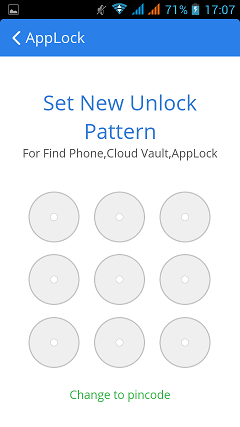 1) Open Cm applock, & click on the lock icon at the top of the app. 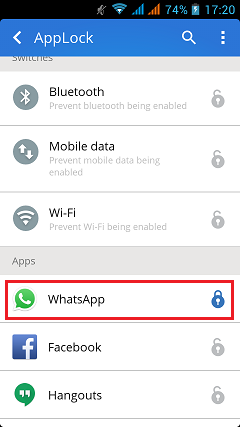 2) Now, apply the unlock pattern which you had set while locking your whatsapp. 3) New window will be open. Now click on Whatsapp icon. 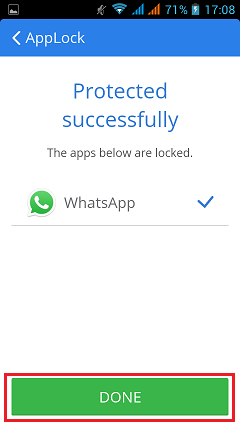 4) The locked icon will turn into unlock icon which indicates that you have successfully remove Whatsapp password. You can apply this method to lock any app on your Android phone. You can lock multiple apps at a same time too. Cm applock is the best locking app to provide protection to your data. If you like this post, kindly share it to maximum people. Also if you are facing in trouble to lock your Whatsapp, then you can comment below. We will provide you with best possible reply.